Brine reclaim technology not only "reclaims" system efficiency but also reduces the amount of water and salt that is needed for a typical softener regeneration cycle. With brine reclaim, a portion of reusable brine is returned to the brine tank during softener regeneration. This reduces the amount of salt needed to remove hardness from the water, and the amount of water that is used per each regeneration cycle. During a typical softener regeneration cycle, a 6-8 percent solution of salt is used to remove the calcium and magnesium ions that are attached to the ion exchange bead. The salt concentration must be high enough to force the sodium to absorb to the resin and break down the calcium and magnesium. Even though the majority of the calcium magnesium is removed during the initial stage of the regeneration cycle, salt is continuously added to get the "polish" and high water quality that is desired. Conversely, with softener brine reclaim, the amount of salt directed to the brine tank is directly proportional to the amount of salt saved. This can be done by reusing some of the salt in the last part of the brine cycle for the next regeneration. This can lead to a 20-25 percent savings on salt usage as well as a measureable, 20 percent reduction in the volume of wastewater created. 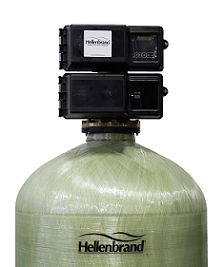 In fact, it's not uncommon for companies that have implemented softener brine reclaim to achieve an immediate 20 percent in salt savings and, for those that have been spending $15,000 or more in salt per year, to expect an ROI of one year. 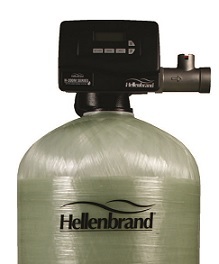 The Hellenbrand HWC Commercial and Industrial water softeners are powerful, easy to use and packed with benefits. Soft Water Savings for detergents and chemicals. Reduced Energy and Water consumption. Improved efficiency and extend the life of process equipment and heat exchange systems. Reduced maintenance costs Initial and long term costs savings. Reduce energy costs and consumption with a systems designed to your unique needs. 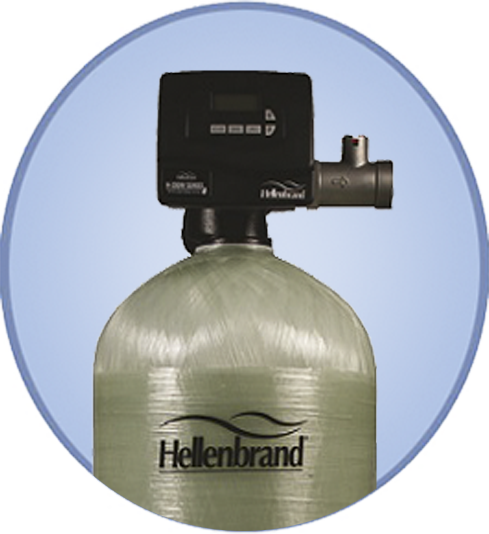 Maynard's Water Conditioning is one of the largest and fastest growing water treatment dealers in Michigan. For the past 45 years, we have been establishing a reputation centered on integrity, and customer service. We pride ourselves on being problem solvers and we strive where others have failed. • Our commitment to customer service and satisfaction. Want to know more? Just call us and we will be happy to see what system will best fit your application no matter how large of small. 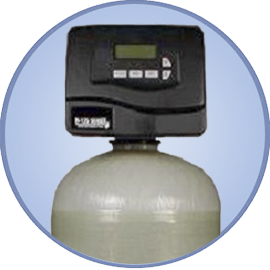 Maynard’s has a trained and dedicated staff devoted to teaching you what you need to know about making a great water treatment system purchase. All you need to do is give us a call, or stop in to our showroom and we’ll give you all the information you need to make an informed decision. 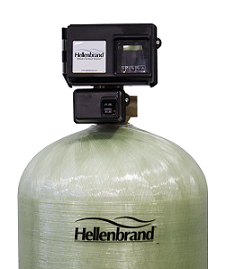 We are one of the largest and fastest growing water treatment dealers in Michigan. For the past 45 years, we have been establishing a reputation centered on integrity, and customer service. We pride ourselves on being problem solvers and we strive where others have failed. Piston operated valve has no nuts, bolts, springs, or screws – it disassembles and reassembles in minutes!